And if you like to enjoy a glass of vino while you’re traveling, you’ll want a good travel corkscrew, right? (Actually I hadn’t ever thought of this until today). 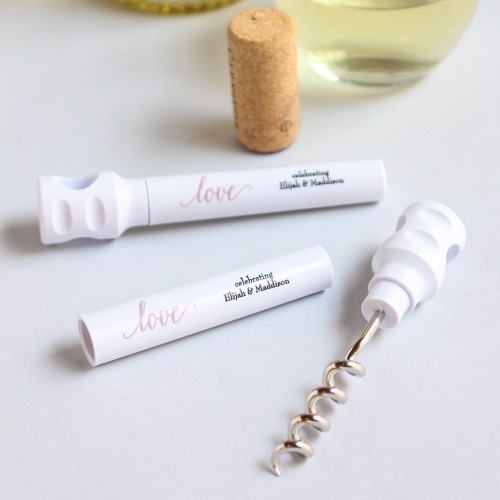 If you love wine and want to give your guests a cool wedding favor, I recommend this personalized travel corkscrew. It’s cute and compact and can be personalized in a way to fit your style! There are so many personalized designs available including monograms and seasonal designs.